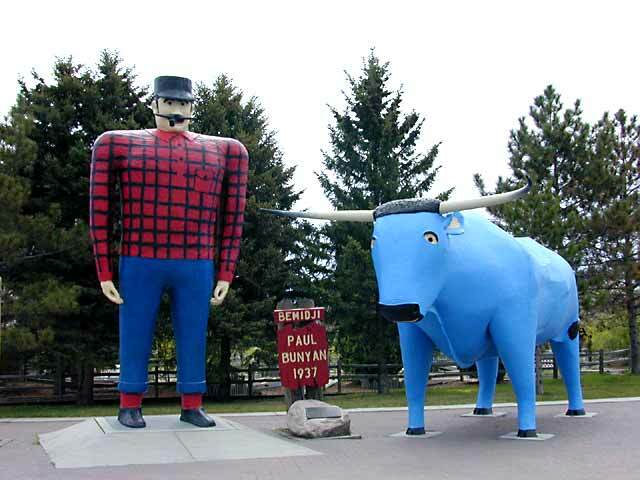 Home of Paul Bunyan and Babe The aqua Ox. This is a nice part of the world to drive through. Heavily forested rolling hills and lots of lakes. Many small vacation homes around the lakes. Not many folks here at this time, which is nice for us, but the season starts Memorial Day. Guess we need to get reservations at a campground for that weekend. 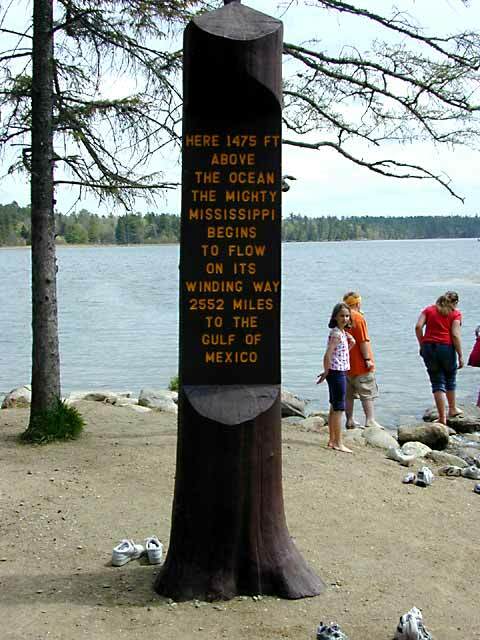 The head waters of the Mississippi flow from Lake Itasca and wind their way through Bemidji on a 2552 mile trip to the ocean. The Mississippi as it flows from Lake Itasca. 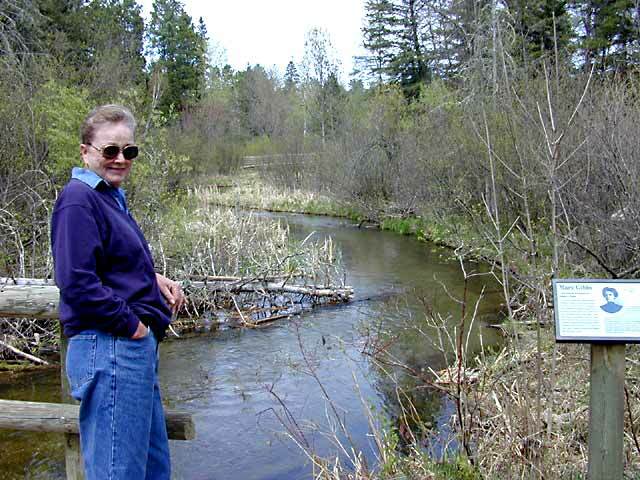 The water is really cold and I saw some trout under the bridge that Anne is standing on. Looks like there should be some good fly fishing around here somewhere. I don't think Anne was very impressed by this mighty river.